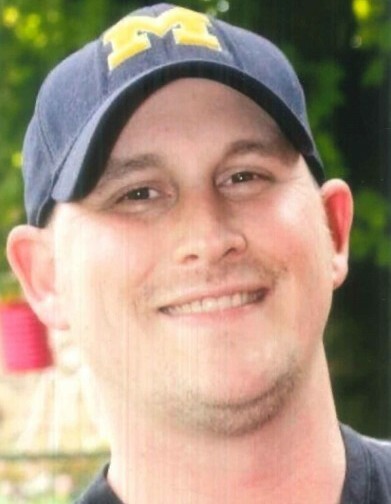 Jessie E. Smith, age 40, of Morristown, passed away Thursday, March 28, 2019. He was employed with Tuff Torq for twenty years and was a loving husband, father, and son, and will be dearly missed. He was preceded in death by his sister, Michelle Smith; and grandfathers, Hesco Smith and Michael Fee. He is survived by his wife of twelve years, Tiffany Smith; daughters, Bailey Smith and Lyric Smith; father, Larry Smith; mother, Denise Sellars; brother, Zack Crocker; sisters, Crystal Smith, Marti (Will) Strange, Nikki (Nate) Stachey, and Ashley (Brad) Kemp; father-in-law, Jeff (Brenda) Ellison; mother-in-law, Tina Lawson; sister-in-law, Candice Ellison; brother-in-law, Blake Ellison; several nieces and nephews; and a host of friends all over the world that Jessie considered his family. The family will have a celebration of Jessie’s life from 6 – 9 p.m. Monday, April 1st at Arrowhead Church. Arrangements by Westside Chapel Funeral Home in Morristown.